The disciplined athlete finds freedom because they don't let others dictate their behavior. Jocko Willink, retired United States Navy SEAL and Silver Star recipient, says "Discipline equals freedom." The disciplined athlete finds freedom because they don't let others dictate their behavior. They don't let the natural ebbs and flows of emotion or motivation we all experience rattle their routine. To block out the noise and the distractions that surround you, you must build a wall of consistency one brick at a time. I believe what we do daily is largely what we will become. What is it that you do daily to get better, drive improvement and build better habits? Here are three tips to remember as you strive to build more discipline in your daily life. Too often we get audacious with our goals before we get consistent. While a long-term goal like "winning a state championship" or "earning a starting job" are great, what are you going to do today to help you accomplish that? Break things down to daily tasks. Make them manageable, and allow yourself to get comfortable with consistency. If your long-term goal is to increase your Squat max by 100 pounds, but you aren't even completing all the prescribed reps in your program on a consistent basis, make completing your next workout as programmed a goal. Setting manageable goals will allow you to experience more small victories and fall in love with the process. Ultimately, this will build greater discipline and accelerate your results. The more you experience that feeling of completing a goal or following through on a plan, the more you'll want to do. Build consistency through small, achievable goals, and your appetite for progress will begin to push you well beyond what you think you're capable of. Visualizing the consistency and progress you're achieving is a crucial part of the process. You probably already know by now that you should be writing down your goals. But you should also be crossing them out as soon as you achieve them. Jerry Seinfeld likes to give a smart piece of advice when people ask him how they can become a better comedian. He tells them to write one joke every single day. There's wisdom in the simple discipline of that act, but Jerry also advised marking the completion of that act. He'd tell comedians to buy a giant one-year calendar, hang it on their wall, and make a big thick X each day they successfully penned a new joke. This simple act releases dopamine and drives a person to keep the chain of Xs intact and growing. While you might not be concerned with telling better jokes, you can enact this same ritual into your routine. 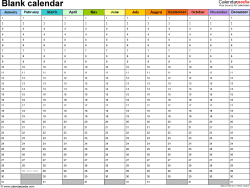 There are plenty of one-year calendar templates available for free online. Print one out, the bigger the better, and find the time to write down a goal for each day. You can write them out at the start of the new week, or the night before. And once you achieve each goal, cross it out. I've been using this technique to help me workout more consistently, and I've found it to be tremendously helpful. You're not going to achieve every goal. Things are going to come up and life is going to happen. Things will disrupt your priorities and may cause you to miss a workout. That's OK. Just try not to let it happen two days in a row. Once you do something two days in a row, you've begun a pattern. The day's prior miss should serve as motivation for you to get back on track, not justification for the start of a new bad habit. Momentum is a huge driver of consistency.